There's a curious streak in us all! 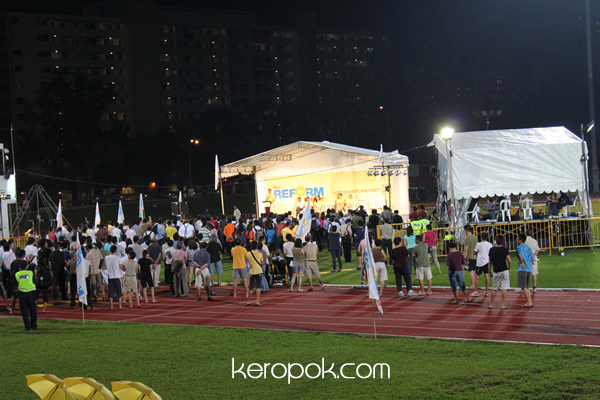 After attending the PAP rally, we were curious to find out what the opposition rally is like. We heard it's more enthusiastic and interesting. People are more proactive and there are more cheers! The way they draw the electoral boundaries in Singapore is so 'weird'. Holland Village is not in the Holland Bukit Timah GRC. On the same road, you get a few constituencies! We went to the nearest opposition rally where we were. We were at Clementi Ave 4 for the PAP rally for the Holland Bukit Timah GRC, just nearby at Clementi Stadium is where the West Coast GRC's rally is at. We went right to the front to listen and to take photos! Indeed, the people here are more enthusiastic! 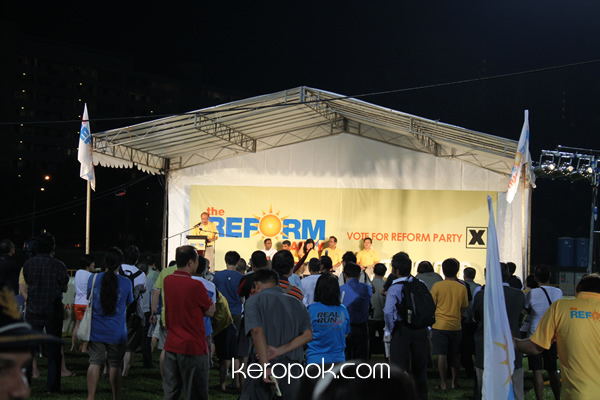 When the MC shouted "Reform Party", the crowd cheered "We want change". 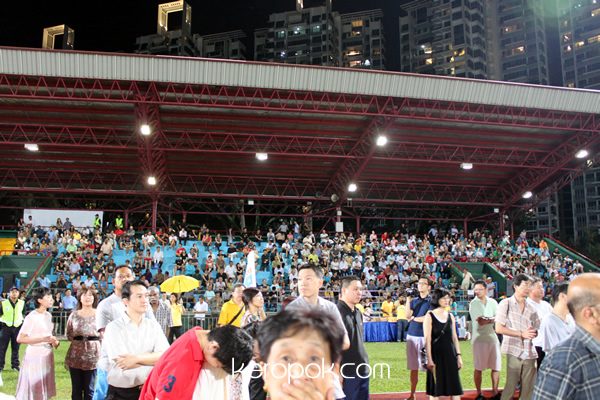 The rally at Clementi stadium was clean with no muddy fields and there's lots of seats too! Tonight's the last night for the rallies, if you are interested, you better hurry!